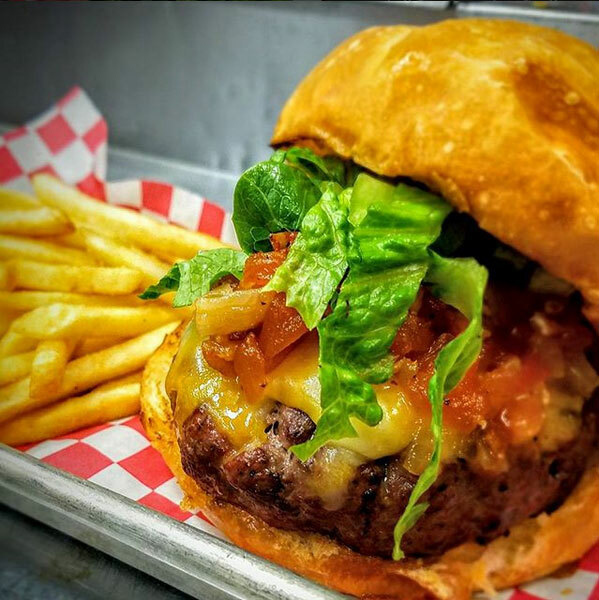 Smoked brisket burger topped with cheddar cheese, tomato bacon jam & lettuce. © 2019 BOOTLEGGIN' BBQ. SITE POWERED BY BLAYZER.